Home → Travel Blog → Dream Italy Tours Start Here! Italy tours are now easy to plan for you or a crew! At Bellarome, your perfect trip to Italy is just a click away! 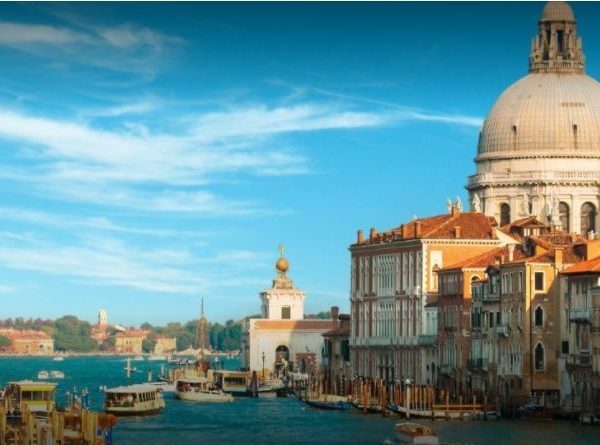 We specialize in helping travel lovers immerse themselves in all the beauty that Italy has to offer, with Italy tours and vacations that help you experience the best of the country’s sights, culture, food, and more. Whether you’re looking for a custom, country-wide tour or things to do in Milan, our travel experts are here to make it happen. Here are some of the ways that Bellarome helps travelers experience Italy vacations they’ll never forget. Multi-city tours. Italy is a small country with a whole lot to see. Sign up for a tour of Italy and get a taste of everything with stops in some of the most beautiful places in the world, including Milan, Venice, Florence, Rome, and Sorrento. We work with the best tour guides in the country to make sure you see, learn, and experience all of the things that make Italy so special. Packaged tours. All of the enjoyment, none of the work. We’ve put together a selection of exclusive packaged tours that have been specially designed by our travel team to ensure you get the most out of your time in Italy. Vacations should be relaxing, which is why we take care of everything for you, from private transfers to and from airports and between cities, to luxury accommodations and exceptional tours and activities. Just book your trip, sit back, and relax. We’ll handle the rest. Custom tours. For the traveler who has some specific ideas in mind, we offer custom Italian tours that allow you to personalize your vacation to suit your needs and desires. We can put together custom tours for a range of budgets, and specialize in organizing dream multi center vacations and group getaways. Tell us your preferences and we’ll get to work building you a custom tour that’s tailor-made for what you want to see and totally optimized for perfection. Adventures and excursions. We don’t just know the best places to visit in Italy, we also know the best ways to spend your time once you get there. Take a scenic boat ride around the Cinque Terre, enjoy an exclusive tour of the Vatican museums, eat your way through a luxury food tour of Rome, and more, with fun and unique excursions that create memories to last a lifetime. Vacations are about fun, not stress. Whether you’re looking to explore a specific part of Italy or want to see everything the beautiful country has to offer, our travel experts can make it happen. Get in touch today, and we’ll get to work planning your perfect getaway. Book your packaged or custom Italy tour or vacation, and see why so many people consider Italy to be one of the most ideal travel destinations in the world. After planning a vacation with Bellarome, you’ll never want to book any other way again. Experience Italy the way it’s meant to be experienced. Give us a call at 347.594.5500 and let’s get started on planning your dream Italian getaway. Comments Off on Dream Italy Tours Start Here!